The Weekly Stuff Podcast #126 - Doctor Who Series 9 Farewell Spectacular! 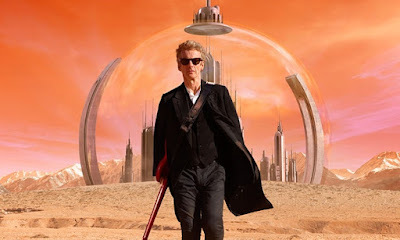 The Doctor Who Series 9 finale obviously looms large over everything else this week, but we take some time at the top of the show to discuss a few other topics as well, including the hilariously atrocious new Batman v Superman trailer, news and happenings out of the Game Awards and PlayStation Experience, and finally, a full review (with spoilers!) of Netflix and Marvel’s Jessica Jones. But Doctor Who is the focus on this extra-long episode, as we break down the outstanding Series 9 finale, “Hell Bent,” before looking back on Series 9 as a whole – ranking the episodes, thinking about favorite moments, saying farewell to departing companion Clara Oswald, and looking forward to the show’s very promising future. This has been an all-time great season of television, and it has been a pleasure and an honor to get to cover it in so much depth these past 12 weeks.